What foods are being tested? * Chat is limited to 3 weeks after receiving your results. Empower your diet. Control your allergies. What can Immufood do for you? 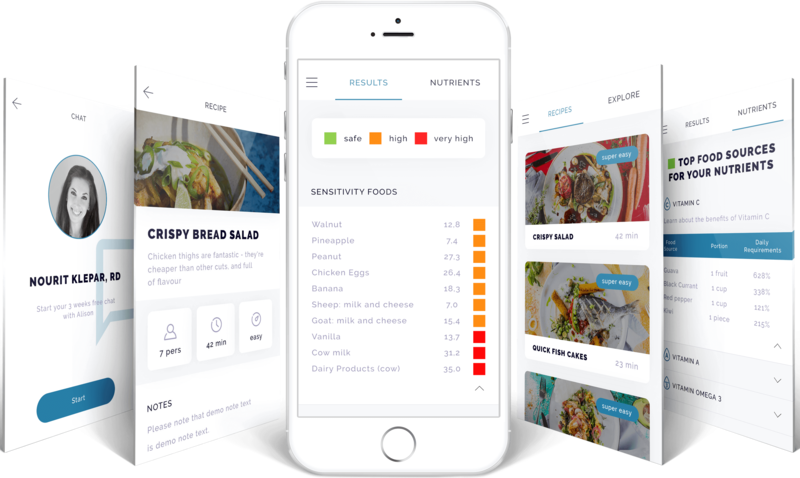 With the Immufood app, you’ll be able to pinpoint your food allergies and sensitivities. No more guess work, just data-driven decision making.